Our Coal City, IL location helped out local communities again this year by donating a bus to be stuffed with school supplies for children in need. 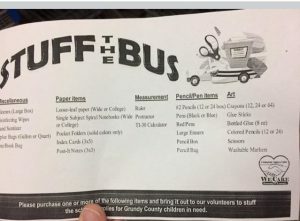 We Care of Grundy County was established as a resource for people in Grundy County who are in need of financial assistance, guidance and sometimes just simple necessities, such as the required back to school supplies. 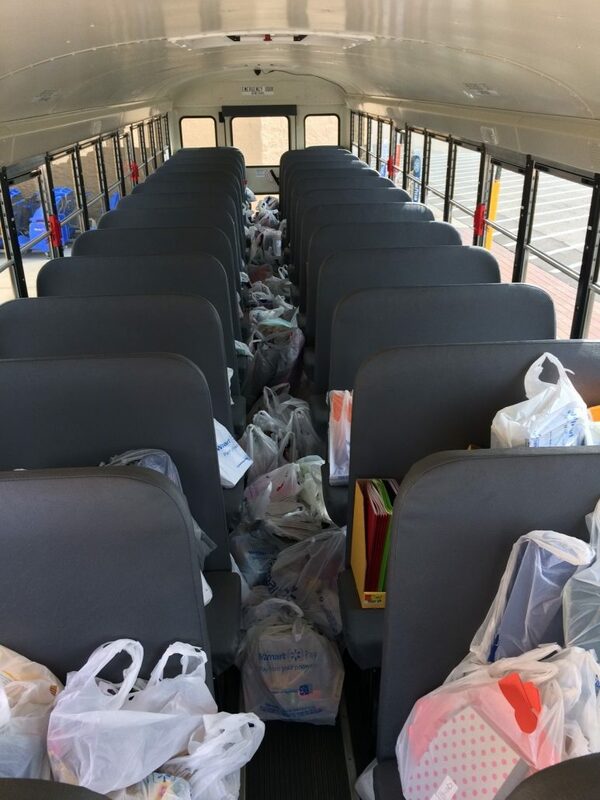 The 77 passenger bus was parked at the local Wal-Mart and was filled to the brim with generous donations from caring shoppers. We are proud to support our local communities and be a part of providing assistance for those that may ride in our vehicles each day.